The State of California acquired the Yosemite Valley and the Mariposa Big Trees Grove Grant in 1864 due to the foresight of early preservationists like Mrs. Jessie Benton Fremont, Captain Israel Ward Raymond and California Senator John Conness. They initiated the theory of setting aside areas purely for the purpose of preservation and the enjoyment of the citizenry. 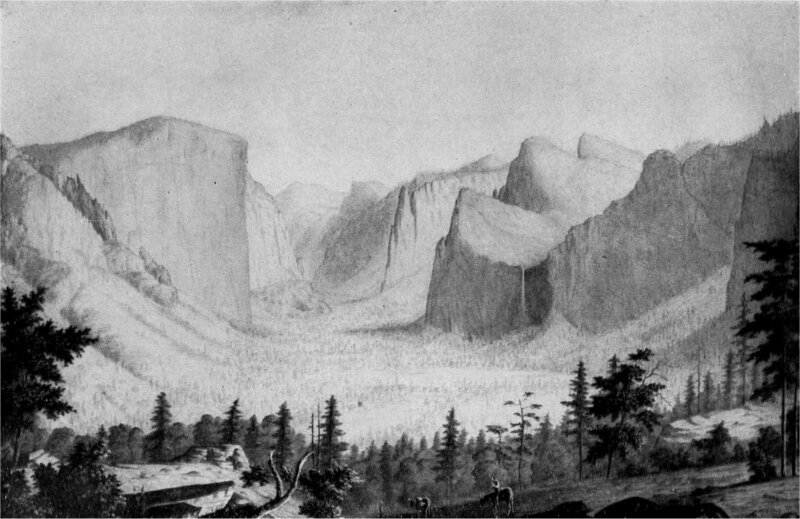 When the junior California Senator Conness introduced the bill in the Senate on March 28, 1864, in beseeching his colleagues to vote, he stated that the bill's sole objective was the "preservation of the Yosemite Valley and the Big Tree Grove... for the benefit of mankind." 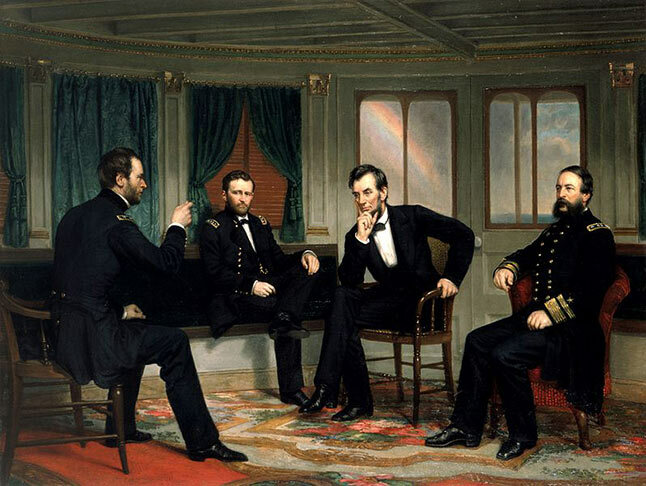 The bill breezed through the 38th Congress and was signed by President Abraham Lincoln June 30, 1864. This historic legislation was the beginning of not only the California State Park system, but also the park notion of today. On September 28, 1864, California Governor Frederick Low signed the Proclamation accepting the Mariposa Grove and Yosemite Valley Grant from the federal government and appointed the first state park commission, made up of the Governor himself and eight commissioners. Heading the nine-person commission was landscape architect Frederick Law Olmsted, the designer of New York City's Central Park. Galen Clark and Israel Ward Raymond were also appointed to the commission. 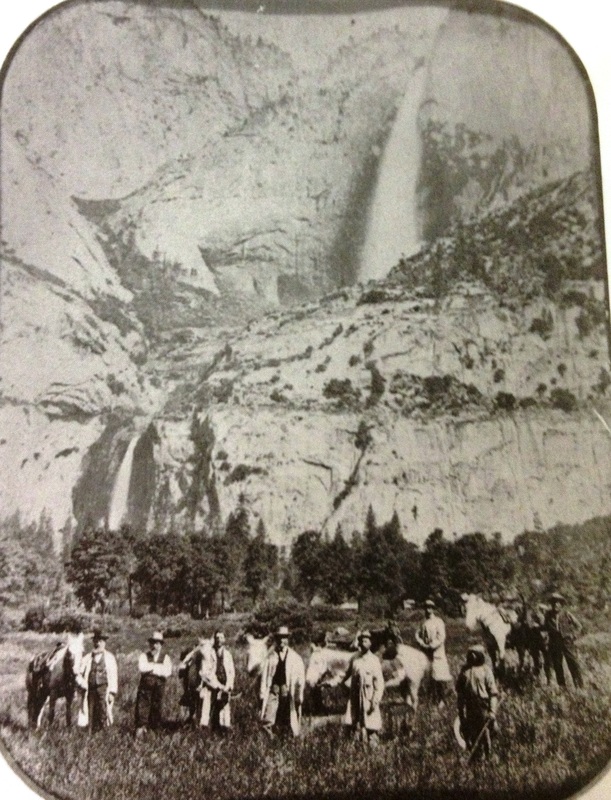 Frederick Law Olmsted spent the summer of 1865 in Yosemite Valley creating a visionary management report. Although unpublished at the time, Olmsted's report embodied many principles used in park planning today. Galen Clark was appointed the Grant's Guardian twice; he served as the first Guardian from 1866 to 1880, and is considered the first state park ranger and the fifth Guardian from 1889 to 1897, when he retired at age 84. When Galen Clark and other early explorers arrived in the Yosemite area, they found Native Americans living in relative peace. The explorers used the name that the Native Americans used for the place, Yo-Semite. The group they encountered was descendants from the Awahneechee tribe and their leader was Chief Tenieya. With the onset of white settlement and diseases, their numbers diminished. They continued to live in the area but were reduced to jobs as servants and housekeepers to the new valley occupants. Their ancestors live today as the Mountain Miwok tribe. 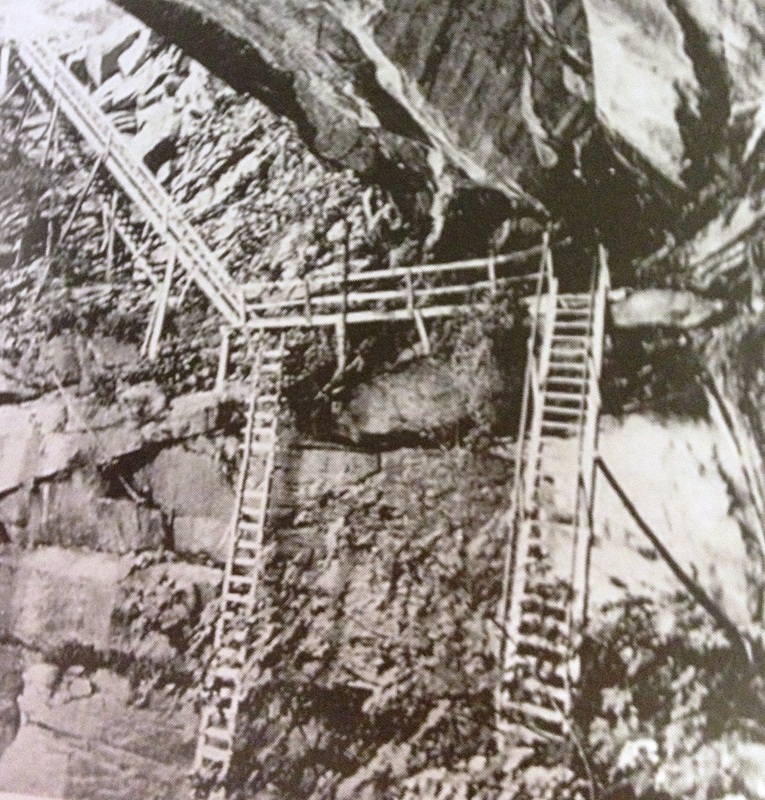 In 1869, tourists began arriving, and as stage roads were completed, numbers steadily increased. In 1864, there were 147; in 1868, there were 623; in 1888, there were 4000 visitors; and in 1906, there were 10,103. The number of persons visiting the area has climbed to 1 million in 1954, two million in 1967, three million in 1987 and four million in 2012. The Valley offered luxury accommodations, a school, and a blacksmith shop, carved wooden souvenirs for sale and photo studios. There were livery stables, a butcher shop, a laundry, a chapel, and a campground. As access to the park improved, campers began arriving with their own stock and equipment. They camped wherever they were comfortable and their horses ate whatever they pleased. There was no regard for flora preservation. In 1876, the board of commissioners noticed this wanton disregard for the environment and determined there should be a dedicated camping area. They awarded storekeeper Aaron Harris a ten-year lease to run a campground. The campground preserved much of the valley and it was wildly popular. The Harris Campground was the first state park campground. In 1899, David and Jennie Curry opened a tent-camping business with great accomplishment. Their Curry Village is still in use today. For enjoyment, visitors lounged in the comforts of the many lodging establishments, read in the Big-Tree Parlor (a hotel was built and rather than cut down a large cedar, they incorporated it into the hotel), traveled on a guided pack-mule train to Glacier Point to see the Valley view, ride to the Mariposa Big Trees Grove and marvel at trees bigger than one could imagine, hike along trails to reach the summit of waterfalls, marvel at the splendor, climb a ladder up Half Dome or the Vernal Falls, swim in the Merced River or shop for souvenirs. With popularity come expenses, and the state of California refused numerous requests by the board of commissioners for funding to support the grant. 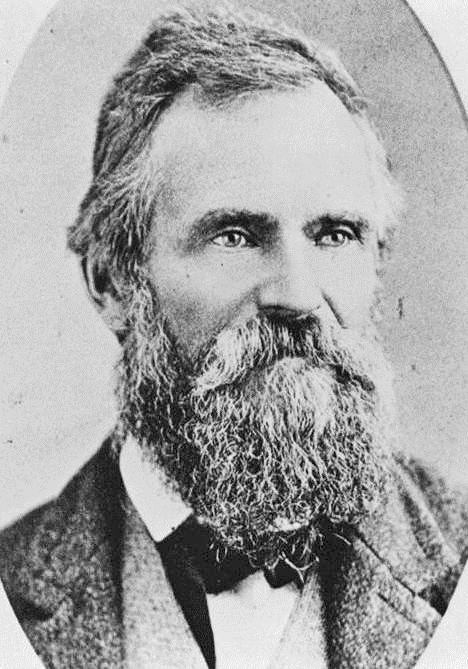 John Muir mounted a campaign in favor of the federal government's reacquiring the grant to be administered as part of the larger Yosemite National Park, and he had powerful backers. A campaign ensued to keep the grant under state control. Muir gained the support of President Theodore Roosevelt in his effort to return the grant to federal control. Recession of the grant was approved by Congress, and President Roosevelt signed the bill June 11, 1906. The Yosemite Grant was returned to the federal government to become part of Yosemite National Park. Although Yosemite and the Mariposa Grove are no longer owned by the state, early preservationists' idea hatched a mindset in 1864 that spread throughout the world: we must preserve places for their inherent value to humans and the creatures and features that define those places.